Business Solutions | Rocco & Associates Wealth Management, Inc.
As a small business, Rocco & Associates Wealth Management knows that benefits play an important role in attracting and retaining key employees. That is why we have developed a suite of tailored solutions to help employers, employees, and businesses thrive. As the one source for all of your business solutions, we leverage the relationships that we have forged over the years to ensure that you are provided with high quality service when dealing with our office or any of our closely held partners. If you are looking to establish a retirement plan for your business, have a desire to expand your company’s investment options, or just want a second opinion, Rocco & Associates Wealth Management can assist. Qualified retirement plans offer benefits to your employees and have the added potential to reduce your company’s tax liability. However, coordinating a group retirement plan can be a daunting task: from the investment choices, changing objectives, and expenses to the performance monitoring, ERISA laws, and record keeping. 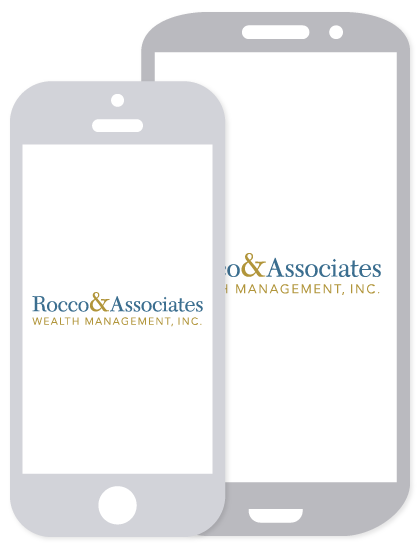 At Rocco & Associates Wealth Management, we start by reviewing the benefits and liabilities of qualified plans with employers and continue by providing ongoing guidance to employees about the importance of saving for the future. The core of our approach is built on our proven E3 System: Engage, Educate, Empower. Setting up a qualified retirement plan is only the first step, what happens next is even more important. We strive to continue to engage plan participants on a range of relevant topics from how to read account statements and manage risk in their investment accounts to the benefits of diversification and rebalancing. By empowering participants we can help them retire with confidence. Without employee engagement and education, the true long-term benefits of a qualified retirement plan are never fully realized. Our carefully selected portfolio of plan sponsors and platforms offer a diversified selection of investment objectives to meet your company’s specific needs. Over time, we monitor the plan at the individual level to ensure that your investments stay in line with your goals and objectives. At Rocco & Associates Wealth Management, we provide a broad range of insurance solutions designed to help businesses and their owners protect against unforeseen events that may threaten their businesses. Like Group Retirement Plans, Group Insurance is important in retaining key employees and providing top-of-the-line service to your valued team. We combine internal solutions and leverage our partner’s network to develop a complete tailored solution for your business. Even after the initial setup, we will continue to monitor and revise the plan as you grow, ensuring that your plan engages new employees and provides the level of coverage you desire. Further, we develop solutions for you, the owner, to help ensure that the business is protected in the event of loss of you, a partner, or even a key employee. Planning for the future of your business can be tough, but we try and make the process as streamlined as possible so you can get back to doing the job you love knowing that your company, partners, employees, and family have an actionable solution in place for the future. Check out our helpful checklist for business owners!